This marks the third album from this first class group. Its recording predates the membership of the legendary Rick Wakeman, who ultimately joined late in the tour of this album. While this might appear to be a huge drawback in the studio, the album is quite strong. The keyboard chops are handled instead by the masterful Tony Kaye. His contributions are bubbly, bouncy, and bountiful. Jon Anderson's youthful voice is at its finest. He started the technique of sustained falsetto long before Justin Hawkins from The Darkness. Chris Squire's bass-playing style is decades beyond anyone else. Steve Howe's guitar licks are wacky, yet precise. Bill Bruford plays with finesse. When you come down to it, they are all awesome here. 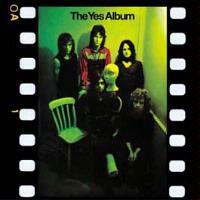 This is a song that really encapsulates the Yes sound. It twists and turns in so many directions that it may be hard to grasp upon first listen. At one point, it even turns into a Dixieland hoedown. An acoustic guitar piece with a little rock and a lot of soul. It's quick and wild like a Terrier puppy let loose after being cooped up all day long. This is a fun piece. This song has a mythical feel to it. We are in a fantasy world. The elves are busy in their chores. The dwarves are chipping away at rocks looking for gems. The king is marching along with his knights. The wizard is concocting some special brew. That's how it feels. Lyrically it has more to do with science fiction. There are real nice uses of backing vocals in several passages. Overall, there are supposed to be three distinct sections, but the transitions are smooth. This results in one cohesive piece. The pace is quickened tremendously. You find yourself at a swing dance. Everyone is in choreographed form. Like the one before, this one is in parts, this time there are only two. Towards the end, the dancing ceases and a choir provides a hymn. After the boat pushes away from the shore, the melody flows down a river. The flying fish are jumping in synchronicity, the crocodiles are snapping at flies, and the Water Moccasin slithers as the boat navigates around the bend and hits little bumps in the shallow water. It is an entertaining ride. Steve Howe's guitar opens the music up with a lot of twang. Jon Anderson and Chris Squire pair up to do a progressive lounge act. Howe's guitar returns with passion. A segment towards the end of the song is much like a transmogrified Elvis ballad. The closing instrumental reminds us of the band's progressive tendencies.